Located on a tranquil private corner of Ao Prao, western coast of Samed Island, Ao Prao Resort is an ideal hideaway place with lots of enjoyable activities and impressive moment among picturesque scenery of sun set. Quiet and shady corner under lush tropical garden located a few steps from the white sandy beach allows you to have a real rest, after enjoying crystal clear water under the bright blue sky. 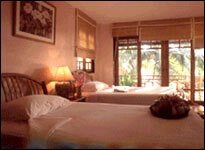 52 bungalows, deluxe rooms, beach cottages and suites, all with sea or garden views. 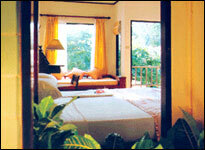 Our luxury resort are located on a hillside offering panoramic view of Ao Prao Bay, even from the bathtub. 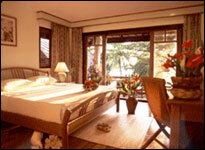 - Superior Cottage 8 rooms, 28 sq.m. 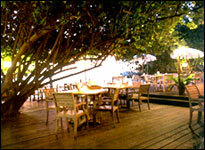 - Deluxe Cottage 23 rooms, 33 sq.m. 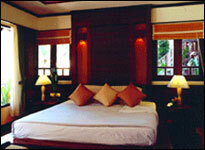 - Deluxe Room 7 rooms, 45 sq.m. 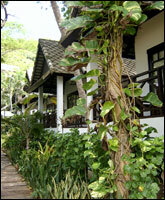 - Beach Front Cottage 4 rooms, 32 sq.m. 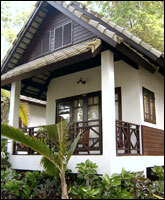 - Junior Suite Cottage 4 rooms, 37 sq.m. - Executive Suite (one bed room) 1 room, 73 sq.m. - Family Suite (two bed rooms + one living room) 1 room, 130 sq.m. 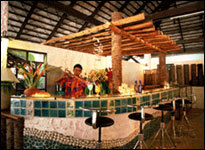 - Beach bar with variety of cocktails and other beverages is on service from 10:00 - 24:00 hrs.